The History of Boys: the MES 56 and Beyond – A Survey of Contemporary Photography in Indonesia, curated by Alex Supartono, is the inaugural exhibition in a new Crossing SEA series initiated by DECK, focusing on contemporary photography in Southeast Asia. 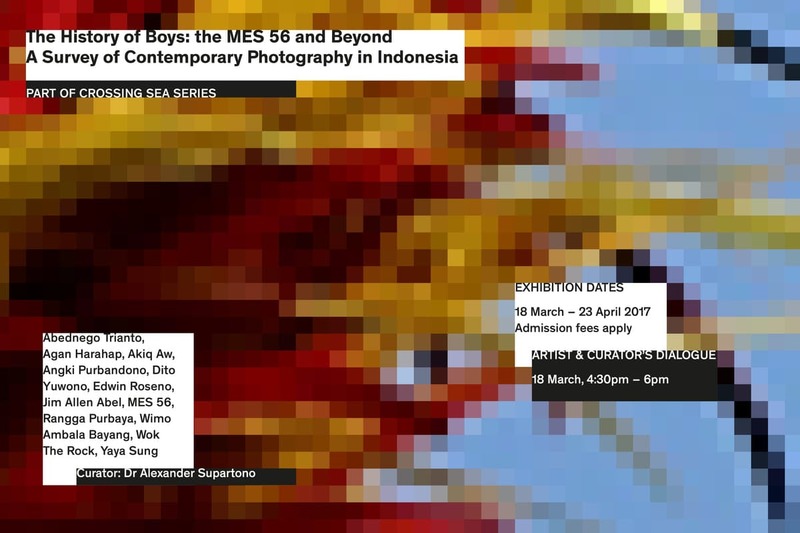 MES 56 or Ruang MES 56, founded as a collective in 2002, is one of the most successful names in contemporary photography in Indonesia and the region. In Zhuang Wubin’s Photography in Southeast Asia: A Survey, he opens a large section on Yogyakarta practices with “In recent years, Ruang MES 56 has dominated the discourse on contemporary photography in Indonesia – to the extent that this Yogyakarta-based collective is sometimes projected as its sole exemplar.” This posture is somewhat assumed too in their self-published book Stories of A Space (Cerita Sebuah Ruang) – Living Expectations: Understanding Indonesian Contemporary Photography Through Ruang MES 56 Practices. The book is available in limited quantities at DECK and is a worthy read alongside the exhibition. The collective’s name is derived from the address of the space they rented in Yogyakarta for their practice – Ruang is space or room in Indonesian. The founding and practice of MES 56 reflect their desire to establish photography as an art, and a need for a counter-space to what they saw as the dominant aestheticism of popular pictorial and classic documentary photography in Indonesia, curator Alex Supartono explains. The exhibition showcases a variety of MES 56 work from 2003. A few highlights include Angki Purbandono’s Sumbu Kosmik Memori, a Borobudur-inspired hanging sculpture of snapshots made with his digital camera, an homage to the ephemerality of today’s picture culture and Abednego Trianto’s What Am I going to Be When I Grow Up, an intervened typology of family portraits depicting gender inequality in Javanese aristocracy. Jim Allen Abel’s Motocycle Diaries offers simulated rear views as one would experience riding a motorbike. Another creative installation is Wok The Rock’s Burn Your Idol, a jukebox altar of CDs with ripped music and album cover images of idolising fans. The top gallery features Keren dan Beken (Cool and Famous), an installation where audiences are asked to participate simultaneously in Singapore and Indonesia with shared instagram selfies. The History of Boys is a fitting start to DECK’s Crossing SEA series. Thailand is next, DECK founder Gwen Lee Gim Lay tells us. 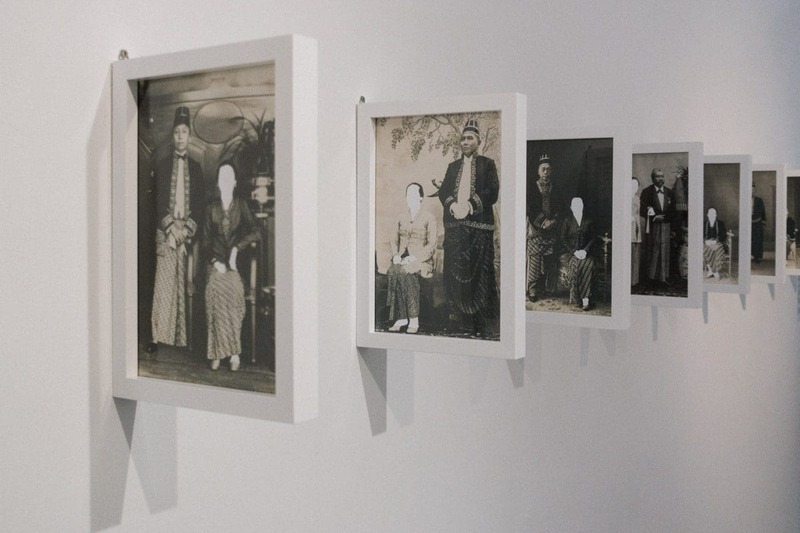 While some might contest the exhibition’s posture within contemporary photography discourse in Indonesia or question the absence of girls in this history of boys; Singapore audience, young artists especially, should find the concepts and aesthetics, politics and gestures on display a worthwhile and reflective experience. Catch The History of Boys: the MES 56 and Beyond – A Survey of Contemporary Photography in Indonesia at DECK, 120A Prinsep Street, Singapore 187937 from 18th March till 23rd April 2017.